Ma,T., Ali, S., Yue, T., Elaasar, M. “Fragility-Oriented Testing with Model Execution and Reinforcement Learning.” Proceedings of the 29th International Conference on Testing Software and Systems (ICTSS), St-Petersburg, Russia, 2017. Hamza, M., Walker, R., Elaasar, M. “Unanticipated Evolution in Software Product Lines versus Independent Products: A Case Study.” Proceedings of the 21st International Systems and Software Product Line Conference , Volume B, Sevilla, Spain, 2017. Badreddin, O., Abdelzad, V., Lethbridge, T., Elaasar, M. “fSysML: Foundational Executable SysML for Cyber- Physical System Modeling“. 4th International Workshop on The Globalization of Modeling Languages. Fourth International Workshop on the Globalization of Modeling Languages, Saint-Malo, France, 2016. Badreddin, O., Elaasar, M., Abdelzad, V. “Action languages and precise modeling for cyber-physical systems design and testing.” Proceedings of the 26th Annual International Conference on Computer Science and Software Engineering. 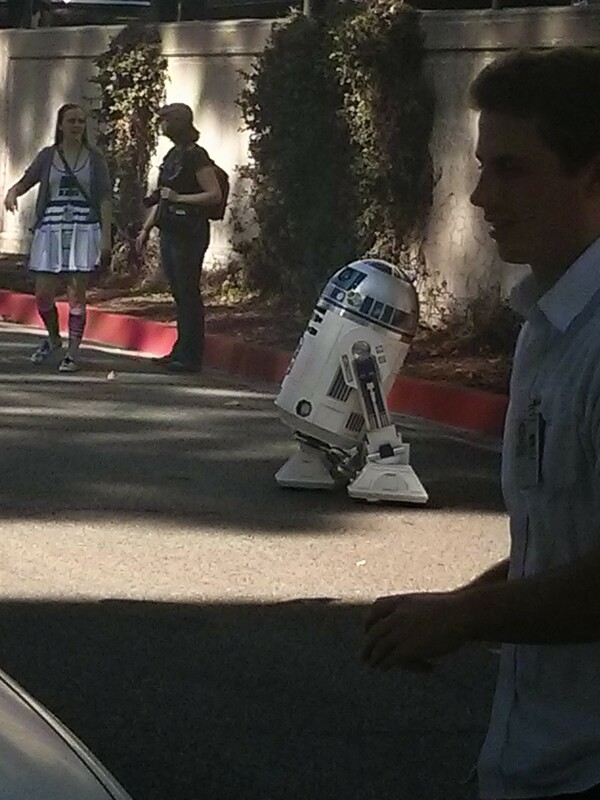 IBM Corp., 2016. Jukss, M., Verbrugge, C., Elaasar, M., Vangheluwe, H. “Scope in Model Transformations.” Software and Systems Modeling (SoSym), https://doi.org/10.1007/s10270-016-0555-8, 2016. Elaasar M., Badreddin, O. “Modeling Meets Programming: A Comparative Study in Model Driven Engineering Action Languages.” Proceedings of ISOLA’16, Corfu, Greece, 2016. Karban, R., Dekens, F., Jankevičius, N., Elaasar, M. “Creating System Engineering Products with Executable Models in a Model Based Engineering Environment.” Proceedings of Modeling, Systems Engineering, and Project Management for Astronomy VI , Edinburgh, UK, 2016. Karban, R., Jankevičius, N., Elaasar, M. “ESEM: Automated Systems Analysis using Executable SysML Modeling Patterns”, Proceedings of INCOSE International Symposium (IS), Edinburgh, Scotland, 2016. Torre, D., Labiche, Y., Genero, M., Elaasar, M. “1st International Workshop on UML Consistency Rules (WUCOR 2015): Post workshop report.” ACM SIGSOFT Software Engineering Notes, volume 41, issue 2, March 2016. Bock, C., Elaasar, M. “Reusing Metamodels and Notation with Diagram Definition.” Software and Systems Modeling (SoSym), https://doi.org/10.1007/s10270-016-0537-x, 2016. Baderddin, O., Elaasar, M., Hamou-lhadj, A. “A Controlled Experiment for Evaluating the Comprehensibility of UML Action Languages.” Proceedings of MODELSWARD ’16, Rome, Italy, 2016. Maged is attending the OMG Technical Meeting in La Jolla, CA on Dec 7-11, 2015. Torre, D., Labiche, Y., Genero, M., Elaasar, M. “UML Consistency Rules in Technical Books.” Proceedings of ISSRE15, Washington DC, USA, 2015. Maged is attending the OMG Technical Meeting in Cambridge, MA on Sept 20-25, 2015. Fouche, A., Noyrit, F., Gerard, S., Elaasar, M.: “Systematic Generation of Standard Compliant Tool Support of Diagrammatic Modeling Languages.” Proceedings of MODELS ’15, Ottawa, Canada, 2015. Maged has delivered an invited talk at the Centre of Security, Reliability and Trust (SnT) at the University of Luxembourg in the summer of 2015. Not only do they have outstanding research facilities in the university, but also a peculiar sense or art! Maged is giving an invited talk at the SnT Center, University of Luxembourg, June 25, 2015. Maged is attending the 1st Papyrus Workshop on DSML Technologies, Toulouse, France, 22-23 June, 2015. Maged is attending the OMG Technical Meeting in Reston, VA on March 23-27, 2015. 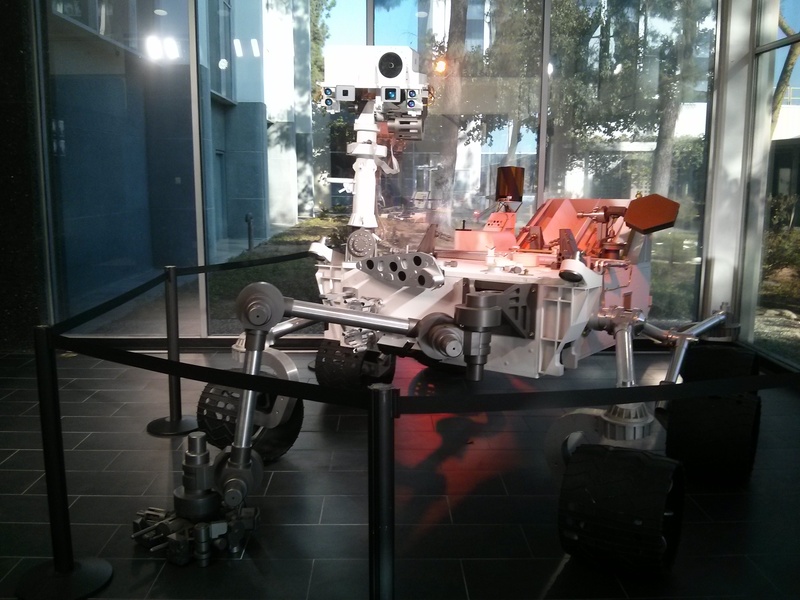 The Curiosity rover, an engineering piece of art. 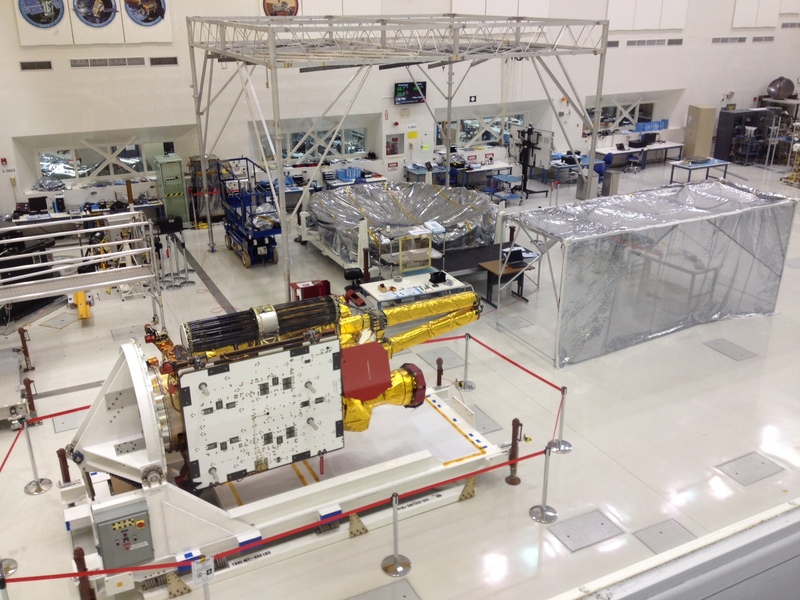 The clean room where the Soil Moisture Active Passive (SMAP) satellite is assembled at JPL. 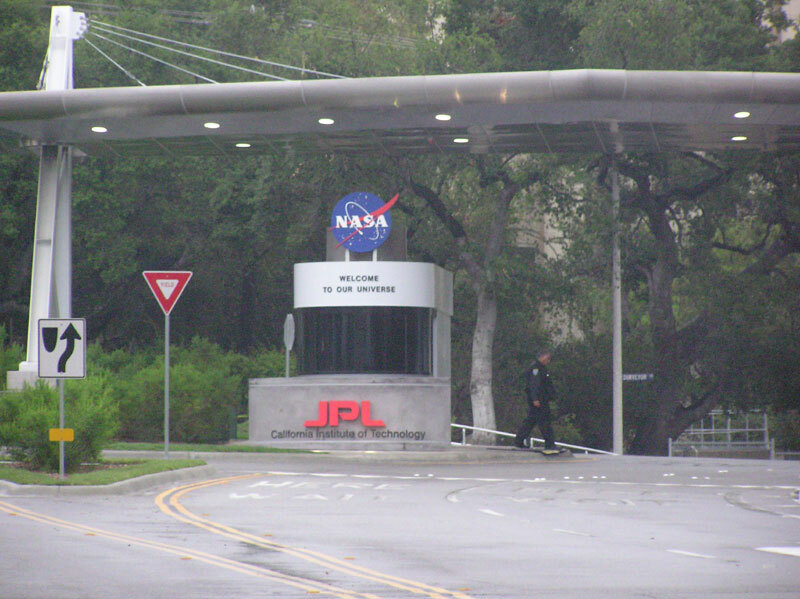 Scientists patiently test their instruments in various test beds across the JPL campus. 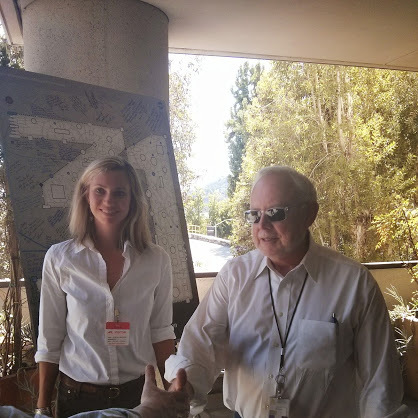 At the retirement celebration of David Nichols, who is best known as the father of MBSE at JPL. 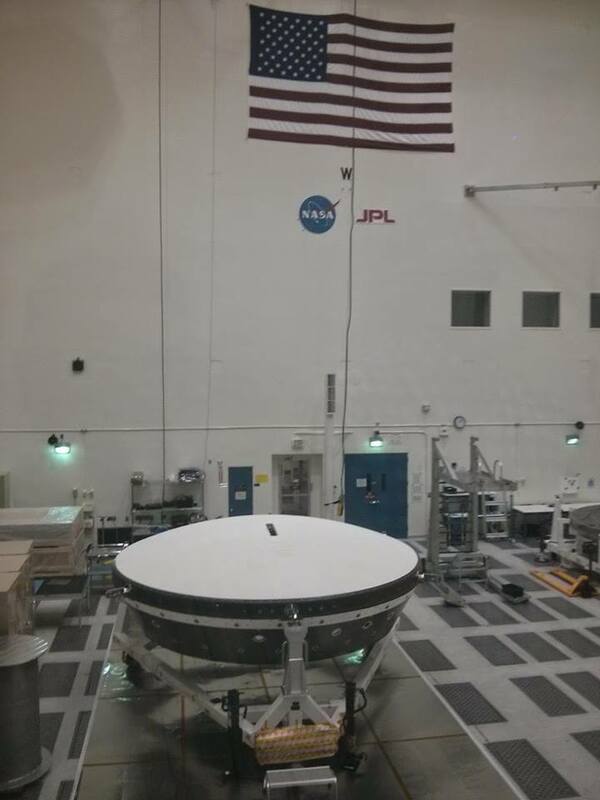 The “Mars Field” at JPL where experiments are carried on twin rovers to the ones deployed on Mars. 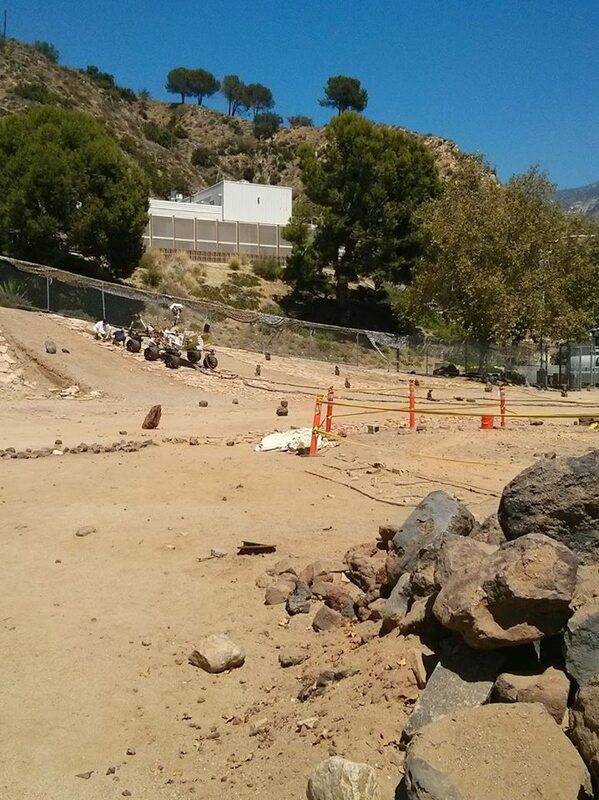 They simulate the Martian terrain to test how the rovers perform and to help them out when they get stuck. And they say UFOs do not exist! 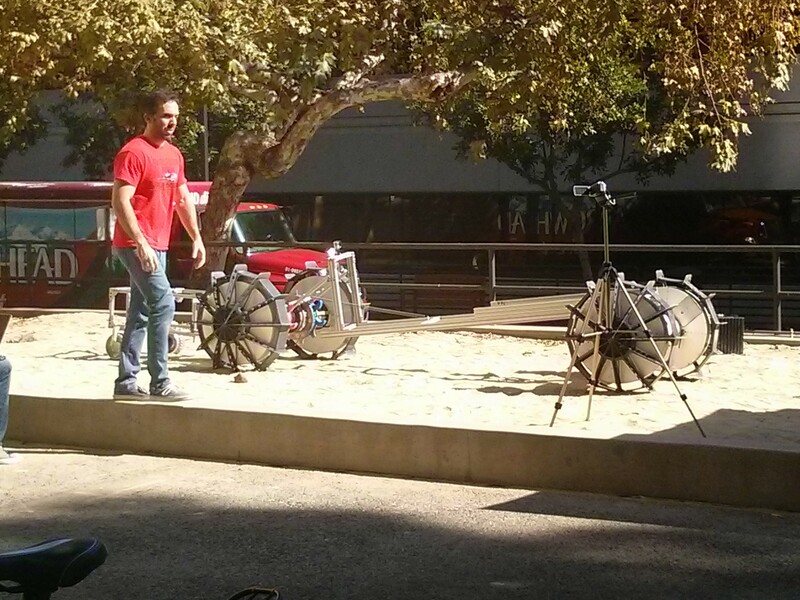 Maged is attending the OMG meeting in Austin, TX on Sept. 15-19, 2014. 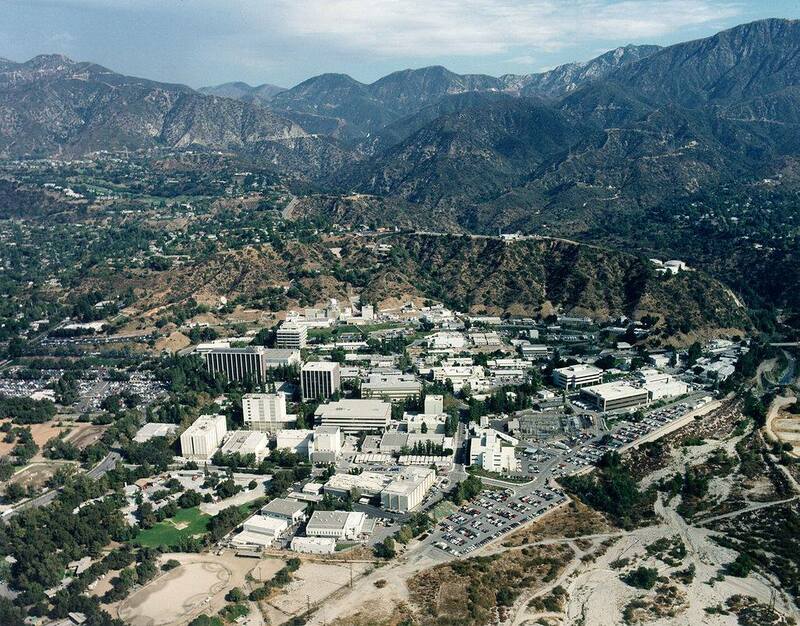 The JPL campus is so hilly and large that I get my fix of cardio exercise just by walking around. And since my office is on top of one of the highest hills, going any where is like going to the gym. 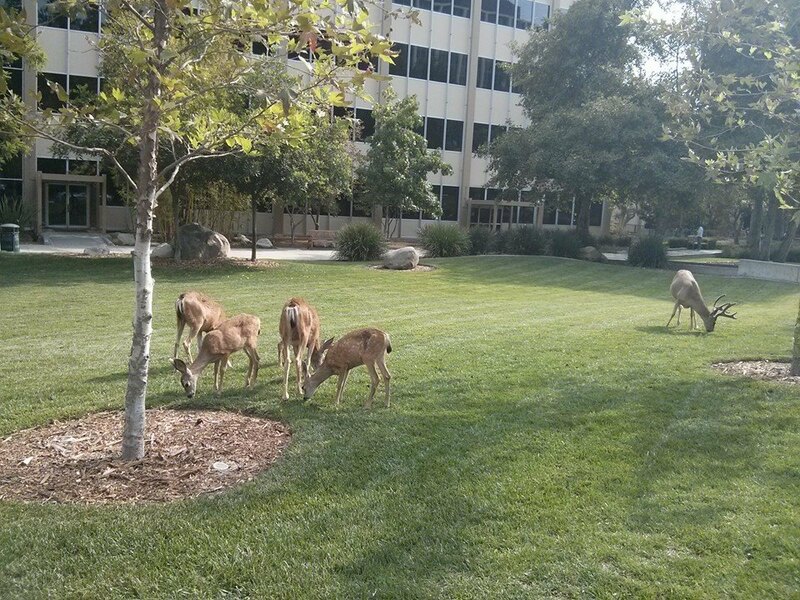 I frequently run into wildlife on the JPL campus. Badreddin, O., Lethbridge, T., Forward, A., Elaasar, M., Aljamaan, H., Garzon, M.: “Enhanced Code Generation from UML Composite State Machines”. Proceedings of MODELSWARD 2014: 235-245, 2014. Fischer, M., Dingel, J., Elaasar, M., Shaw, S.: “Automating Instance Migration in Response to Ontology Evolution”. Proceedings of Models & Evolution 2013 Workshop, pp. 20-27, Miami, FL, September 2013. Maged is attending the ECMFA conference in Montpellier, France on July 1-5, 2013. 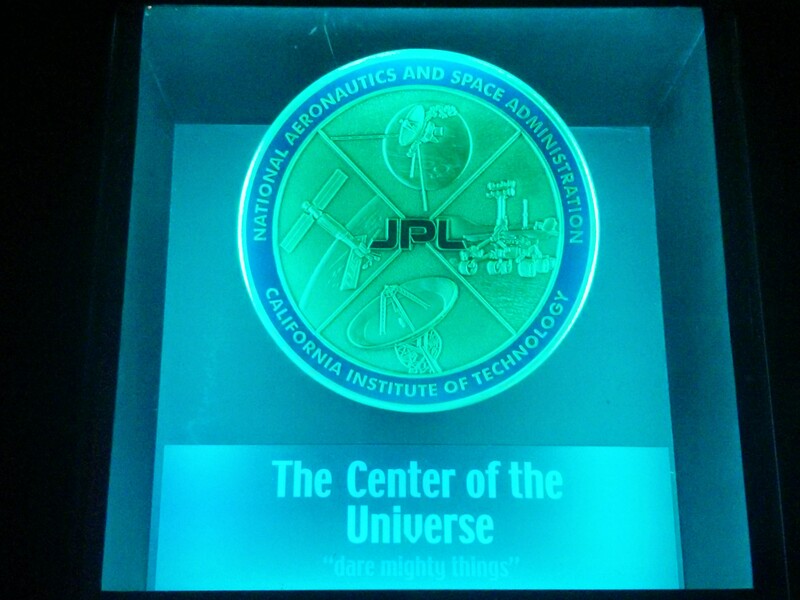 Maged is attending the OSS conference on June 25-28, 2013. Maged is attending the CSER meeting in Montreal, QC on June 18, 2013. Elaasar, M., Neal, A.: “Integrating Modeling Tools in the Development Lifecycle with OSLC: a Case Study”. Proceedings of MODELS 2013, LNCS, vol. 8107, pp. 154-169, Miami, FL, October 2013. Elaasar, M., Conallen, J.: “Design Management: a Collaborative Design Solution”. Proceeding of ECMFA 2013, LNCS, vol. 7949, pp. 165-178, Montpellier, France, July 1-5, 2013. Maged is attending the OMG meeting in Reston, VA on Mar. 17-23, 2013. Elaasar, M., Briand, L., Labiche, Y.: “VPML: An Approach to Detect Design Patterns of MOF-Based Modeling Languages”. Software & Sysems Modeling, DOI 10.1007/s10270-013-0325-9, January, 2013. Maged is attending the OMG meeting in Burlingame, SF on Dec. 10-14, 2012. Elaasar, M.: “An Approach to Design Pattern and Anti-Pattern Detection in MOF-Based Modeling Languages”. Ph.D. in Electrical and Computer Engineering Dissertation, Carleton University, Ottawa, Canada, September, 2012. Elaasar, M., Labiche, Y.: “Model Interchange Testing: a Process and a Case Study”. Proceedings of ECMFA 2012, LNCS, vol. 7349, pp. 49-61, Lyngby, Denmark, July, 2012. Yue, T., Ali, S., Elaasar, M.: “A Framework for Measuring Quality of Models Experiences form a Series of Controlled Experiments”. Simula Research Laboratory, Technical Report 2010-17, March, 2012. Elaasar, M., Labiche, Y.: “Diagram Definition: a Case Study with the UML Class Diagram”. Proceedings of MoDELS 2011, LNCS, vol. 6981, pp. 364-378, Wellington, NZ, October, 2011. Elaasar, M., Briand, L., Labiche, Y.: “Domain-Specific Model Verification with QVT,” Proceedings of ECMFA 2011, LNCS, vol. 6689, pp. 282-298, Birmingham, England, June, 2011. US Patent Application 20120192143, Elaasar, M.
US Patent Application 20110131546, Elaasar M.
US Patent Application 20110131547, Elaasar, M.
US Patent Application 20110004612, Boyersmith, M., Dubauski, B., Elaasar, M.
US Patent Application 20090150125, Elaasar, M.
US Patent Application 20090150856, Elaasar, M., Fischer, J. US Patent Application 20090150854, Elaasar, M., Fischer, J. US Patent Application 20090150855, Elaasar, M.
Elaasar, M., Fischer, J.: “Model-to-Model Transformation Authoring: an MDA Approach”. IBM Canada, Rational Software, July, 2007. US Patent Application 20080134135, Elaasar, M.
US Patent Application 20080127049, Elaasar, M.
US Patent Application 20070089084, Elaasar, M.
US Patent Application 20070011189, Elaasar, M., Hanner, M., Shaw, S.
Elaasar, M., Briand, L.: “An Overview of UML Consistency Management”, Technical Report SCE-04-18, Carleton University, Ottawa, Canada, August, 2004. Elaasar, M., Li, G., Barbeau, M., Kranakis, E.: “The eXtended Satellite Transport Protocol: Its Design and Evaluation”. Proceedings of 17th AIAA/USU Conference on Small Satellites, Logan, Utah, August, 2003.